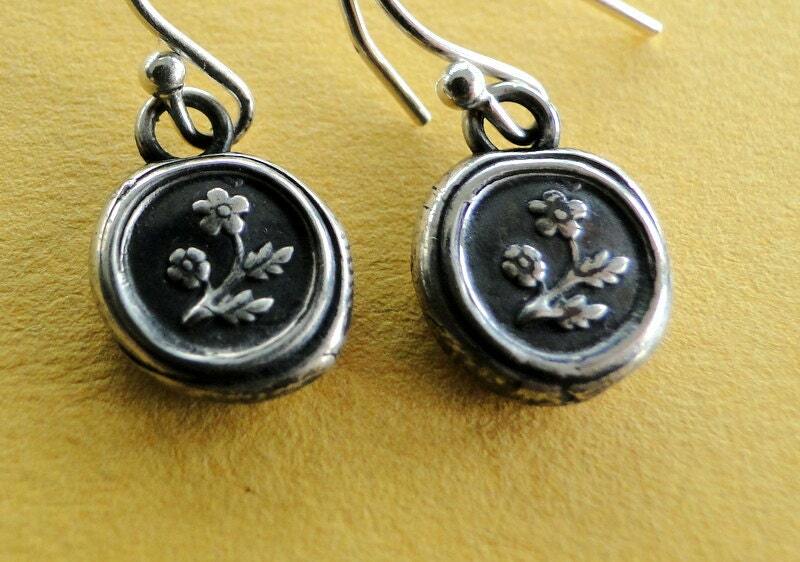 Forget me not flower, wax seal, sterling silver, dangle earrings. 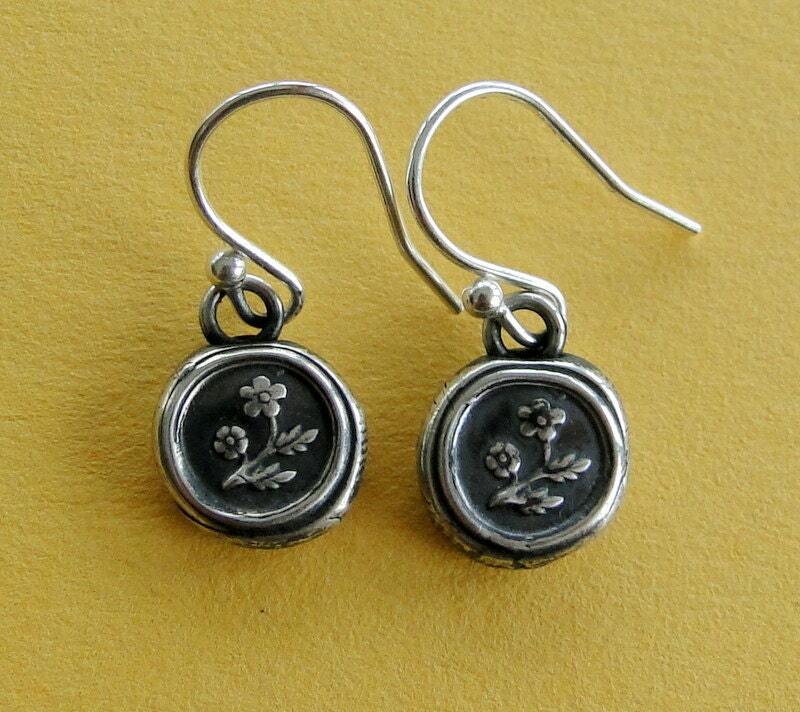 These earrings are the impression of an antique wax letter seal. This seal was used to secure letters and correspondence in the nineteenth century. This particular stamp features the image of forget me not flowers. 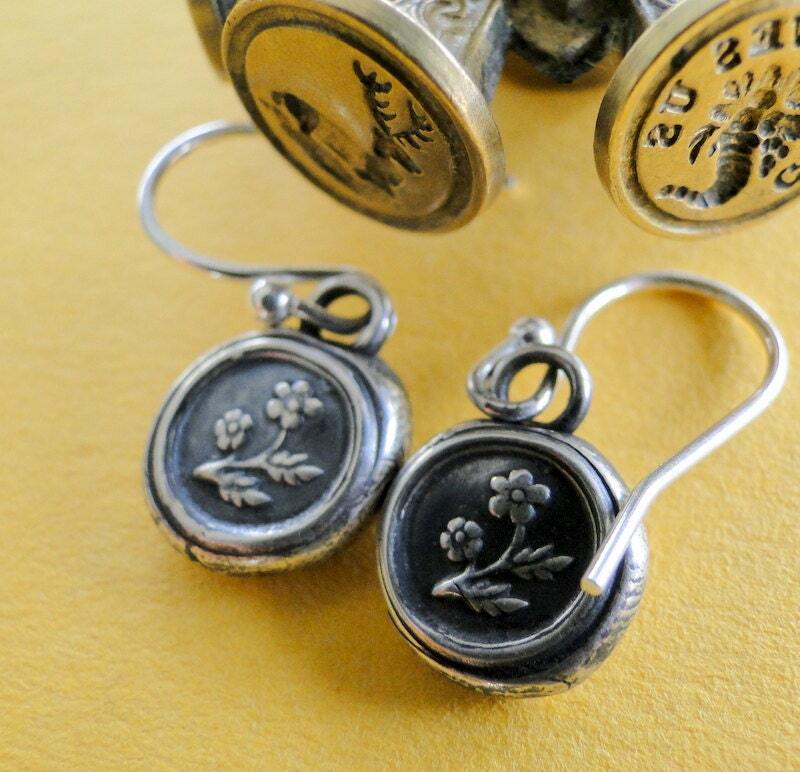 They are made of 100% sterling silver and were oxidised and then hand polished to highlight the image and to accentuate the antique feel of these earrings. 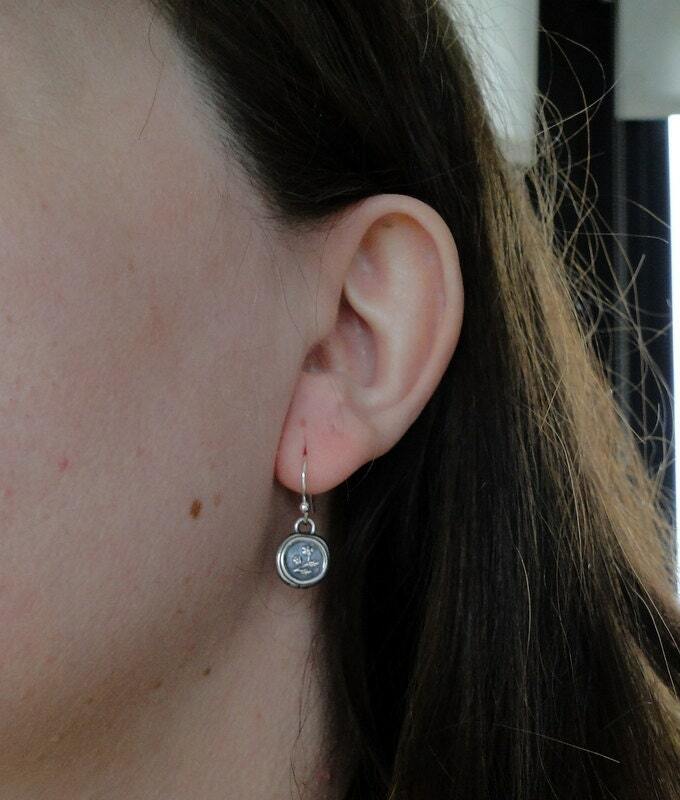 The little seal stamps were hung on sterling silver french ear wires. They measure approx. 9.2mm across. 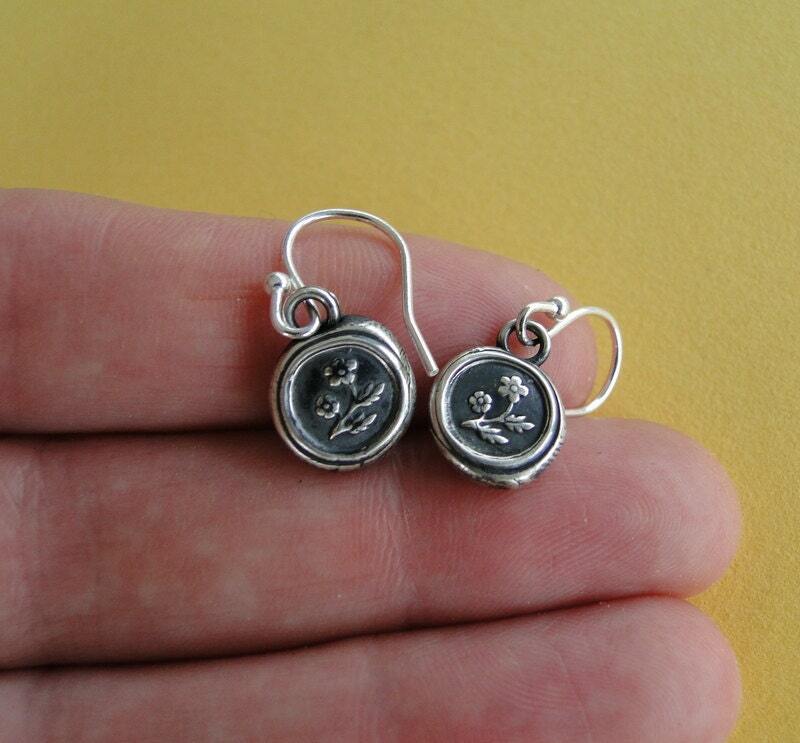 This is only approximate however as each earring is made by hand and may vary slightly. These earrings are ready to ship..... and will be posted within two working days of receiving your order.